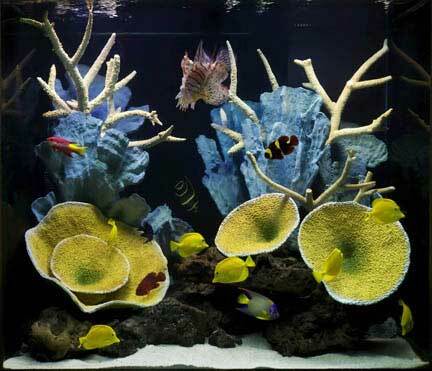 We are the largest manufacturer of beautiful, life-like coral. casting material is safe for fresh and salt water. Pieces are heavy, will not float and will not be eaten by fish. Large fish cannot easily shift the product. More durable than other materials on the market, these replicas resist damage by fish or medications. Unlike latex or other overseas resins, the pieces should last a lifetime with proper care. Color is molded in for lasting beauty. Due to the realistic texture and complexity of our coral, it should be cleaned in the same way as natural coral. We sell only to independent Signature dealers.